Push button automatic opening mechanism. Extra large vented canopy. Golf club grip inspired Slazenger handle. All fiberglass lightning resistant construction. Includes carrying case with shoulder strap. 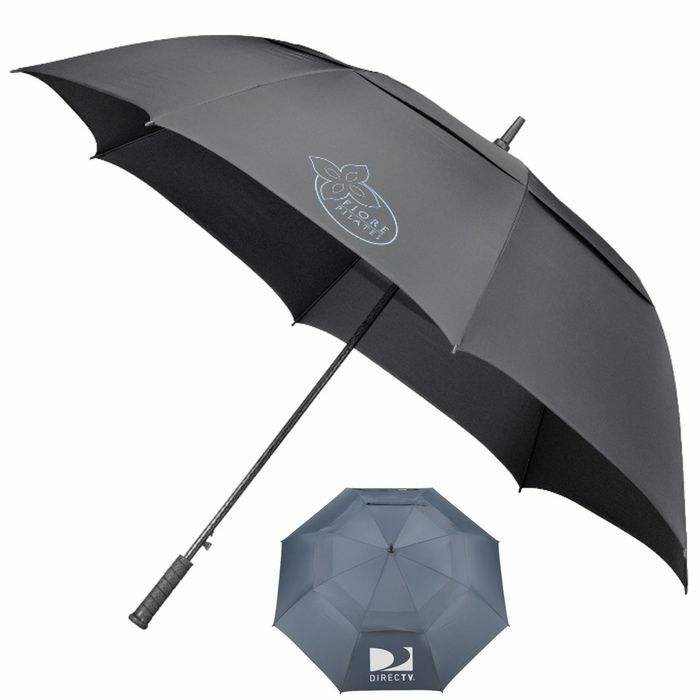 Slazenger brand umbrella.